We sent the office skeptic and the office hippie to review some of the latest new age trends. The cult of spirituality has been alive and well on the West Coast for a while, and it’s slowly spreading across the states. Alaska has the most yoga studios per capita — despite the miniscule population of the the Last Frontier! Today, yoga is so mainstream that it’s hardly new age anymore. What about the items you might find in a new age store? Will they become as commonplace as a downward dog, or is it all just snake oil? To keep it neutral, we sent the office skeptic and the office hippie to review some of the latest new agey trends. Opinions are those of our staff and should not be taken in lieu of medical advice, and if you try any of these remedies, you do so at your own risk. We are not responsible for any illness or injury that may occur as a result of trying the following items. Adaptogens are a class of herbs used to treat a range of maladies by herbalists and practitioners of Chinese medicine. The group includes ginseng, ashwagandha root, cordyceps, Dang shen root, holy basil herb, jiaogulan herb, licorice rhizome, reishi fungus, Rhaponticum root, rhodiola root, and wu wei zi berries, among others. The hippie says: I use the adaptogen dust collection from Moon Juice. Moon Juice has been heavily criticized for the pricing of the dusts. Honestly, I’ve looked at buying separate ingredients such as cordyceps, shilajit and other hard-to-find herbs online, and the price averages out to the same unless you buy it all in bulk — which I don’t have room to store right now. I’m a die-hard tea enthusiast, and this is a nice addition to my collection of things to dump in tea. I sprinkle the dust in my morning coffee, although I’ve been known to spike a Moscow Mule with it, too. According to the serving instructions, you use 1 tsp. per 8 oz. I use a little less than that. The effects: I feel a difference! It makes me feel more alert and focused in the morning. I’ve also noticed that my skin has become much clearer since adding adaptogens into my daily grind. If I miss one, I don’t immediately feel a difference — but it takes a while to get in and out of your system. The skeptic says: My general attitude toward new agey things is that most of them are unnecessary, but generally benign. As long as you aren’t trying to cure cancer with herbs, I’m not going to judge you for sprinkling a few in your smoothie to boost brainpower. The night before I tried adaptogens, I drank bentonite clay to remove all of the “toxins” from my body and start with a clean slate. My hippie colleague sprinkled some Brain Dust by Moon Juice in my morning coffee, setting the stage for a super productive day. I noticed no difference in my mood, productivity, or brainpower. Maybe I need to buy a $65 jar and do this every day to truly reap the benefits. 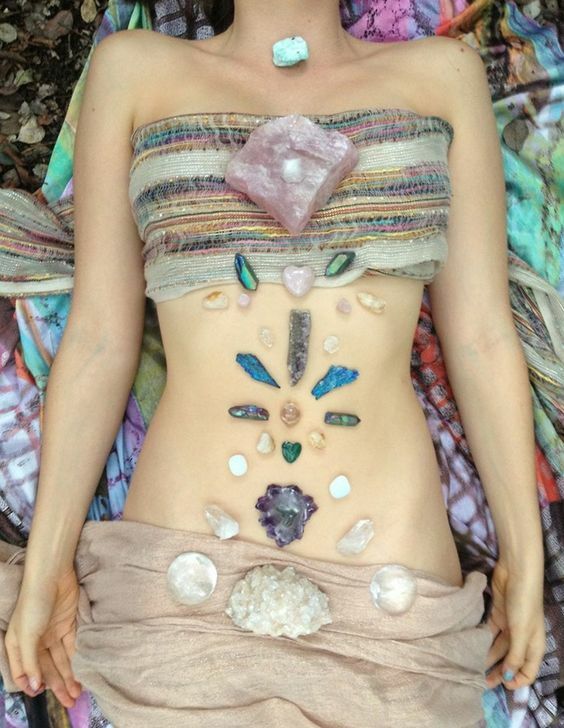 Crystal healing is classified as pseudoscience. There is no scientific evidence to back up the claims that crystals can heal anything. However, crystal healing has been used by the Hopi Indians and Hawaiian islanders for centuries. Practitioners say that crystals can unblock toxic energy and help you de-stress. The hippie says: I’m not sure if crystals are infused with the Force or not, but I like looking at them. I sleep with selenium under my pillow and like carrying a piece of black obsidian around to absorb bad vibes. I feel like it works...at least for me! The skeptic says: If a glowing orb of salt at my desk can’t stop my allergies with its negative ion technology, I have trouble believing a non-glowing piece of aquamarine will do the same. That said, crystals (and salt lamps) are great decor. Homeopathy is a controversial form of alternative medicine which has been dubbed as the ultimate snake oil solution to everyday ailments, which range from nausea to chemotherapy. Developed by a German physician in the late 1700s, homeopathy has been sharply rebuked by the medical community at large for some of its weirder principles, such as the idea that every person can be treated according to their persona, and that all illness is caused by a psora — something akin to an evil spirit. 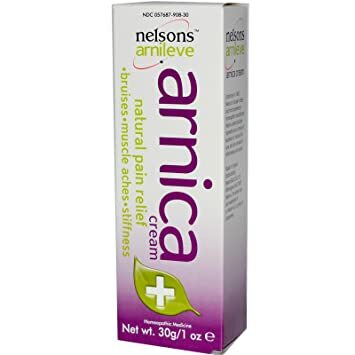 The hippie says: The scientific community may say nah, but my bruises have been treated with arnica since I was old enough to walk (and fall over). I’ll always stock up on arnica cream from CVS! Nux vomica has also been really helpful at treating motion sickness. Some of the theory is a little woo-woo, but it works, so I’ll keep using it! The skeptic says: My problem with homeopathy is that it’s a complete contradiction. The basic premise makes no sense whatsoever: it’s based around the idea that “like cures like” — that is, giving someone more of whatever makes them ill will cure it. Many homeopathic “remedies” also rely on dilutions, but the solutions are often so diluted that they contain barely a trace of whatever the substance is. A glass of water is cheaper and easier. Aromatherapy uses natural and essential oils to promote a sense of wellbeing, and its use dates back to ancient civilizations. Medically, it’s been described as having no scientifically beneficial effects, aside from acting as a placebo. The hippie says: It smells nice, and I think it helps with anxiety. Sure, it might not move mountains for anybody, but lavender oil makes me feel more relaxed. Coconut oil is a cure-all, and also works as a carrier oil for traditional aromatherapy oils to spice up the scent if so desired. The skeptic says: The connection between smells and memories can be explained with science, so it’s possible that a scent reminiscent of a happy time evokes that same emotion. If you associate the smells of lavender and chamomile with a spa, it’s understandable that these scents will take the edge off after a long day. At the same time, while smelling things might put me in a better mood, it won’t cure anything. Reiki is a Japanese healing art. Through touch and “energy,” practitioners can heal patients by boosting the Ki, which is life force energy. It’s mostly used for stress release, although practitioners say that everything from immunity to mood can be boosted with life force energy. The hippie says: I’ve had Reiki performed on me multiple times. Hate to break up a good time, but I’m still on the fence with this one. My life force energy feels a lot better after a long walk than after a Reiki session! The skeptic says: I’ll admit I’ve never had Reiki performed on me. After researching the practice, it seems like a cross between a massage and a religious ritual. 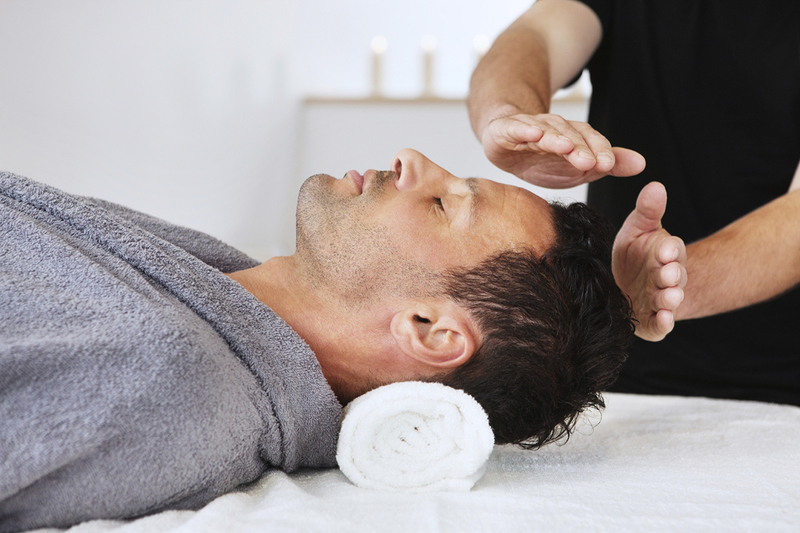 I can see how someone could feel relaxed after a session, but I can’t make myself believe that a Reiki master can direct energy to heal all of my problems. Bentonite clay is also called Montmorillonite, and it’s an ancient clay used for healing — both internally and externally. When bentonite clay comes into contact with water it swells, and produces an electrical charge which allegedly attracts toxins, such as heavy metals. Bentonite clay is used as a facemask, in baths, or consumed internally. Drink bentonite clay was brought into popular culture after actress Shailene Woodley confessed to drinking dirt as a form of detox. So does it work? The hippie says: Yes, I drink clay. It’s completely tasteless, but it’s advisable to drink a very small amount in a large glass of water. The clay is said to pick up heavy metals in your body and pull them through your system. I feel like I’m generally exposed to pesticides and heavy metals in my everyday life, and bentonite clay alkalizes the gut, which is good because my diet can be way too acidic. Don’t drink too much — otherwise, you’ll get constipated. I really think you see results when you’re detoxing and want to clean out your body. You can also mix bentonite clay with apple cider vinegar for the best face mask of your life! The skeptic says: Bentonite clay is one of the few things in a new age shop that I actually own and use. There are fantastic reasons to use this product, but drinking it isn’t one of them. Bentonite clay supposedly emits negative ions that attract toxins (and only toxins) and rid them from your body. Naturally, this sent up a whole army of red flags when I was considering drinking it. But I decided to say “bottoms up” anyway. The slurry tasted like nothing, and it left a slight film and grit in my mouth. I realized after I drank it that I mixed it with a metal spoon, which probably diminished its power to pull the toxins from my body. Right away, I felt a strange, slightly uncomfortable fullness in my stomach that felt much different than overindulging on junk food. Many things left my body in the next 24 hours, but I’m not sure toxins were a part of that equation. Do you swear by any new-age remedies? Share your story in the comments! "From adaptogens to Reiki, what’s the deal with new age store trends? 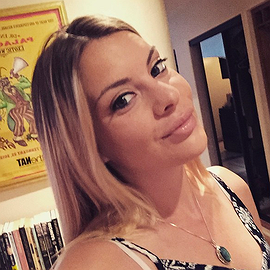 We take a hippie and a skeptic to see if the latest new age fads have any legs."